The General Electric PowerHaul is a type of six axle Co-Co mainline freight locomotive manufactured by General Electric in Erie, Pennsylvania. 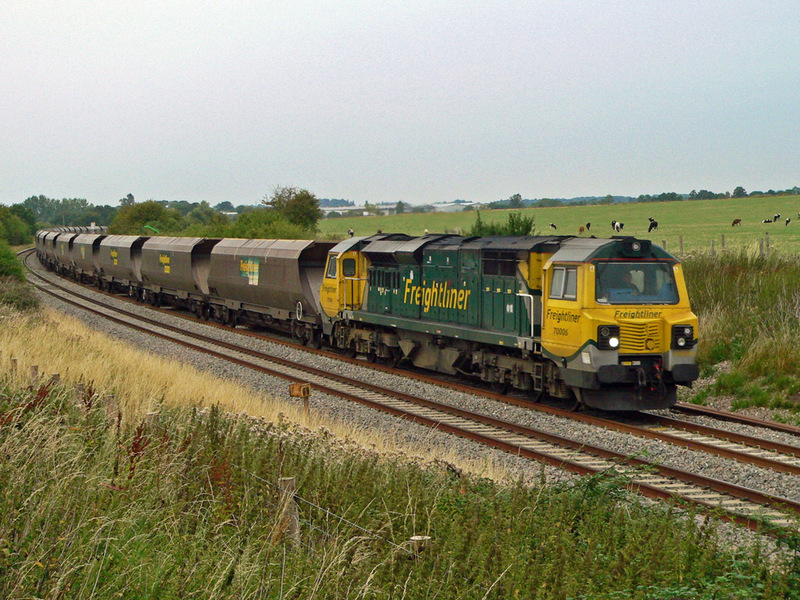 The first orders for the locomotive were for 30 units from Freightliner for operations in the United Kingdom where is has been designated as Class 70 on the TOPS system. General Electric's product code for the locomotives being No.PH37ACmi. This is train No.4V47, the 11:15 from Rugeley to Stoke Gifford conditional empty coal hoppers, passing Croome on Wednesday 22nd June 2011. Photograph taken by Robert Cooke. Class 70 diesel locomotive No.70006 passing Abbotswood with train code 4V57, the 15:25 service from Rugeley Power Station to Stoke Gifford consisting of empty bogie hoppers. Photograph taken by Robert Cooke on 1st August 2011. 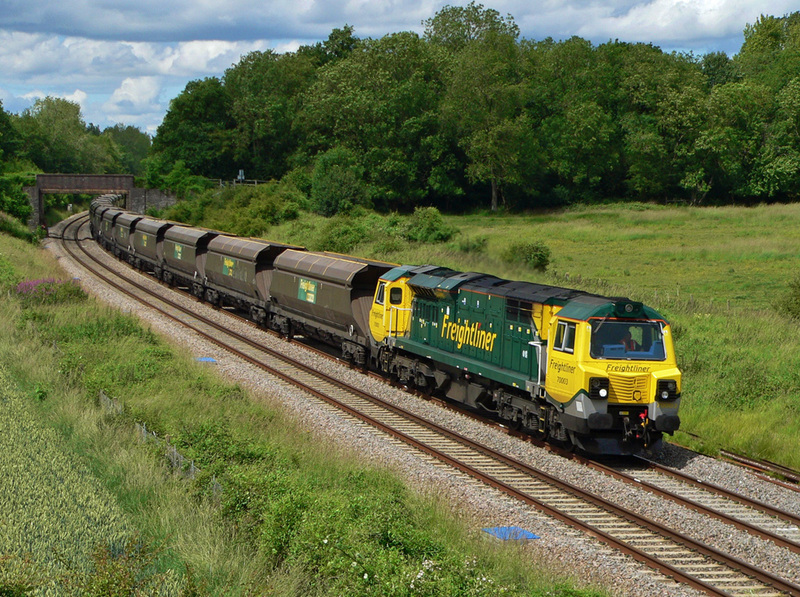 Early in 2015, Worcestershire's photographers received the benefit of a landslip at Harbury which brought regular freight services back to the Cotswold Line. Network Rail's regular 07.55 Westbury to Bescot train was routed via Evesham instead of the normal route. 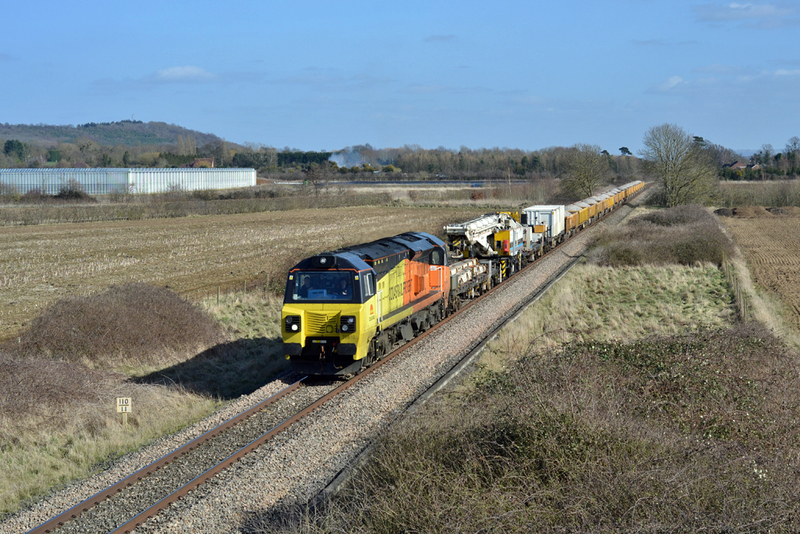 A very sunny Tuesday 10th March 2015 the news that the normal route was re-opening on Friday 13th March 2015 brought the photographers out in force. One of the most popular locations was the overbridge at Lower Moor. On this day the train was headed by No.70810 and the consist included Kirow crane No.81613. Photograph taken by Andrew Smith. 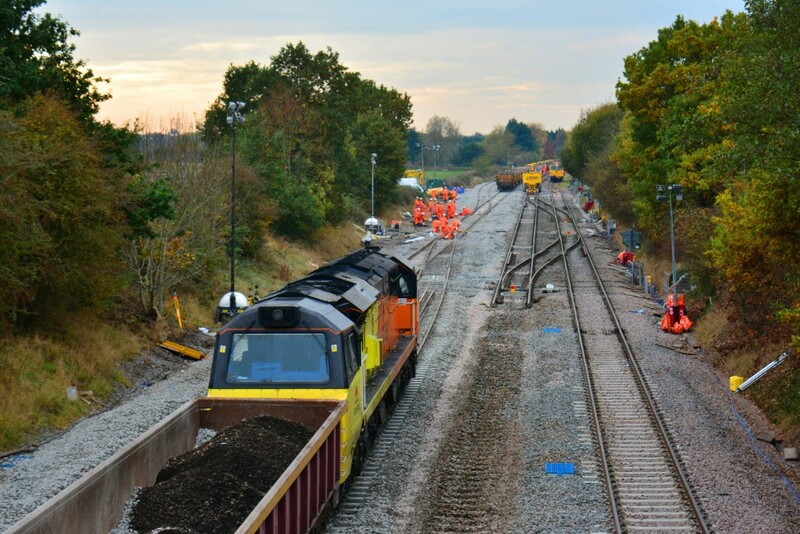 Colas livery class 70 diesel locomotive No.70802 at Bromsgrove on 3rd November 2016 during track relaying works to allow the new platforms to be brought into use. Photograph taken by Steve Widdowson on 3rd November 2016.